This fall is filled with a number of activities for couples, families or friends. All around Thurston County, events begin September 1 and run through Halloween. If you are looking for something festive for fall, check out the events and activities below. Not into Halloween? That’s okay, many of these events are celebrating the fall season, with options for all interests – from pumpkins to wolves! 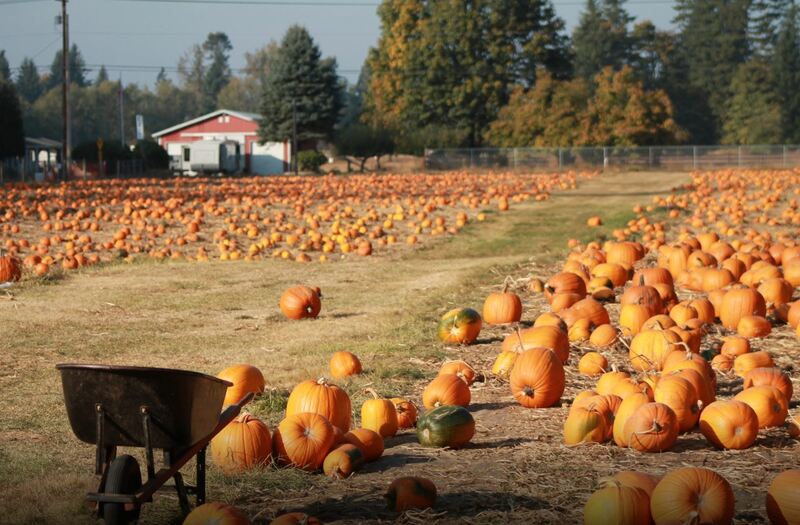 New to Thurston County this year is the Northwest Glass Pumpkin Patch. The event is in its ninth year, but this is the first time it has come to Lacey. 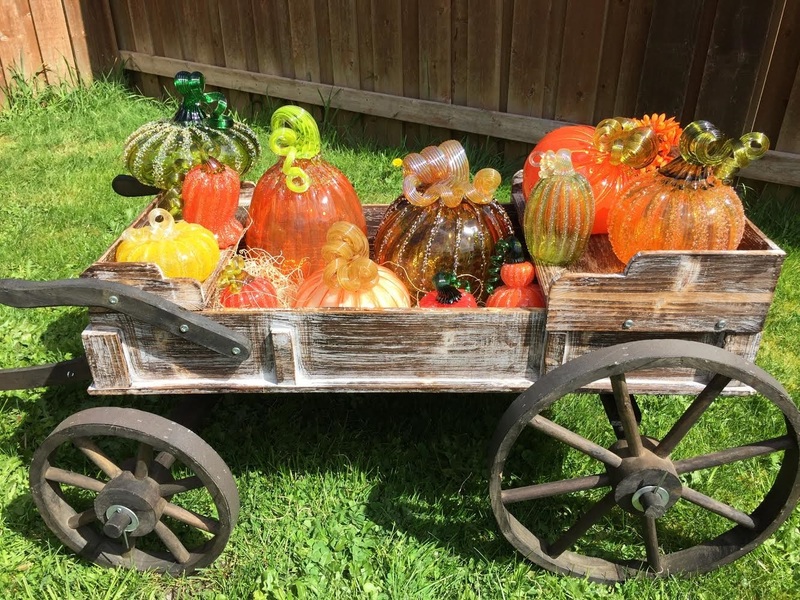 Held at the Thurston County Fair Grounds on September 1 from 9:00 a.m. to 3:00 p.m., this spectacular display features thousands of glass pumpkins of all shapes, colors and sizes. The pumpkins are on sale, starting at $25, but most range between $35 and $85. “Locally created hand blown glass can be expensive, so we understand buying is not for everyone,” says Jeannine Sigafoos, co-owner of Tacoma Glassblowing Studio, who will be putting on the event. “We encourage people to just come out and enjoying the art,” she adds. The pumpkins are a unique fall decoration you can bring out year after year and they never wilt or mold. This event is free and open to all ages. Don your helmet and cape (or come as you are) and head out to Rainier for this fun family friendly event. Viking sword fights, a trebuchet, bouncy houses for kids, games and more. There will also be archery, survival and beer making classes. Food vendors will be onsite to stay your hunger. Produced by the Norsemen of the West Viking Festival, the free event will run from 10:00 a.m. to 6:00 p.m. on September 8 – 9 at Wilcowski Park in Rainier. Invite your friends to browse the unique offerings at the Girlfriends Fall Market. Fall is in the air and vendors will be on hand with vintage, primitive, antique, midcentury, refurbished, upcycled, industrial, farmhouse finds and unique crafted items. Food and drink will be available. The market runs from 10:00 a.m. to 6:00 p.m. on September 14 and from 10:00 a.m. to 4:00 p.m. on September 15. Admission is $5 per person, kids are free and parking is free, too. The Market will be held at the Thurston County Fair Grounds. 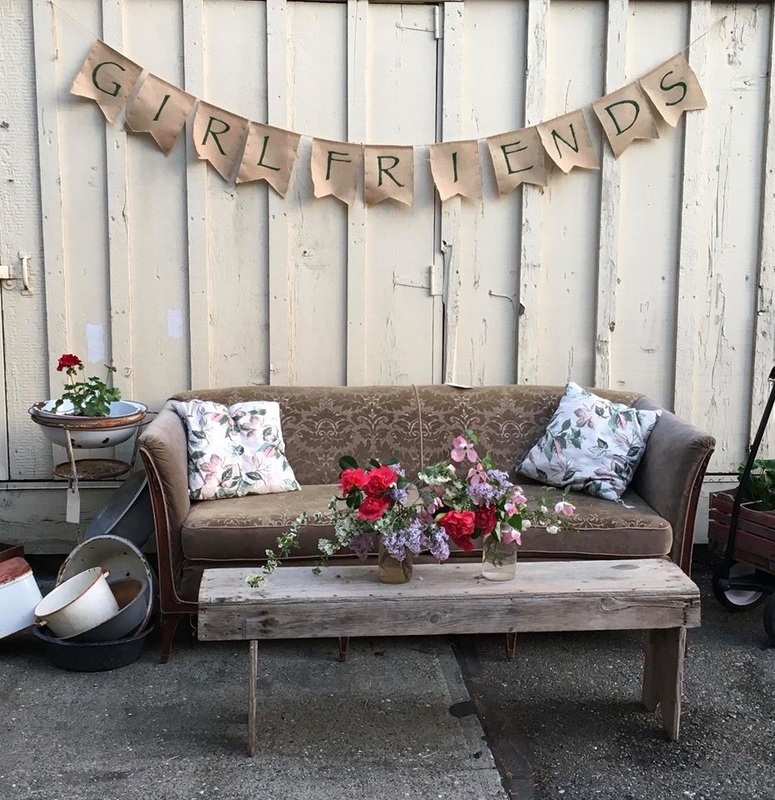 Fall is a great time to redecorate with new old items from Girlfriends Fall Market. Photo courtesy: Girlfriends Fall Market. Join the adventure on this road rally scavenger hunt fundraiser—the Morningside Ride & Poker Run. A perfect opportunity to dust of your creative costume skills, the theme is Safari. On Sunday September 16, participants will begin at the Norman Worthington Conference Center at Saint Martin’s University. In teams of two they will make their way around Thurston County, answering clues on their score sheet. They will then return to the Norman Worthington Conference Center for a delicious brunch and program while scores are tallied. Top scoring teams will be recognized and raffle prizes will be announced. To register for this fun event, head over to the Morningside webpage. This year’s Rutledge Corn Maze is put on in conjunction with the American Cancer Society. Daytime activities include the corn maze with a checkpoint game and interactive investigation game, swings, cattle roping practice station and corn hole bean bag toss. On the weekends, the daytime fun increases with the corn and cow trains, the corn cannon—two shots included with admission, the Spookley story time and arts and crafts. When the sun sets, the maze transforms into a haunted corn maze. 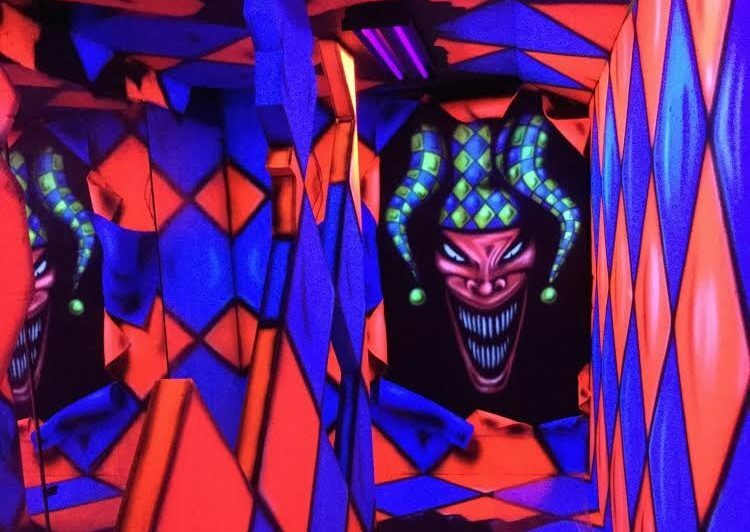 Participants can take part in the haunted maze, the flashlight maze, zombie paint ball, swings, corn hole bean bag toss and the cattle roping station. On top of the fun day and nighttime activities, Rutledge Corn Maze is a one stop shop for autumn décor, offering Jack-o- lantern pumpkins, pie pumpkins, mini pumpkins, ghostly white pumpkins, Cinderella pumpkins, warty pumpkins, gourds, and of course, corn stalks. The maze opens September 22. A full list of hours and schedules can be found on the Rutledge Corn Maze website. 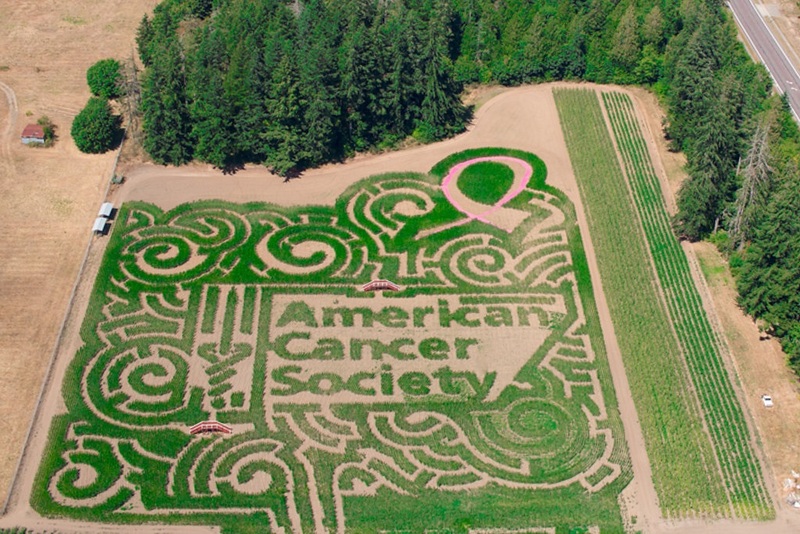 This year’s Rutledge Corn Maze features the American Cancer Society’s Logo. Enjoy a leisurely Sip, Savor, Stroll through downtown Olympia as autumn breezes blow in from the west. Start off with music at the Washington Center. Then join a guild at four tasty stops where you will sip and savor from small plates around downtown. Finish up at the dessert destination Rhythm & Rye where a raffle winner will be drawn. Meet chefs, brewers and restaurant owners as you discover why Ellen Tailor named the region “the next great culinary capital.” Presented by the Olympia Downtown Alliance, tickets can be purchased online. Sip, Savor and Stroll is held on September 29 from 2:00 p.m. to 5:00 p.m. in downtown Olympia. 2018 marks the 25th year for Hunter Family Farm’s Pumpkin Patch. During the week, farm-goers can enjoy three mazes—the hay maze with slide, a kids-sized corn maze, and giant corn maze. Families can view the farm animals, take a wagon ride out to the pumpkin patch, and stop at the holiday shop for decorative items, carving supplies and pumpkins. Weekends add additional elements of fun like the giant super slide, pillow jump, carousel, giant pumpkin sling shot and more. Food concessions are also available. Photo opportunities abound at this fun fall location. Admission to the farm and parking is free. Each activity is individually priced. The farm has remained dog friendly over the years due to many responsible pet owners that keep their dogs leashed and clean up after them. To see all the activities available, check out the Hunter Family Farm website. The pumpkin patch opens September 29 and runs through Halloween. 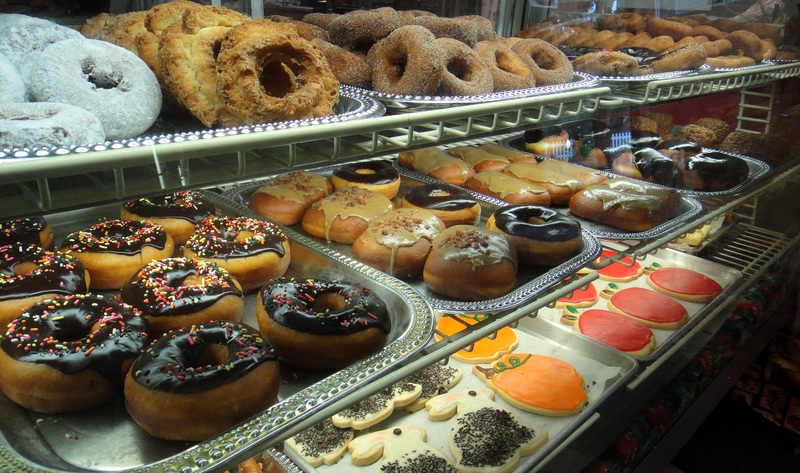 A mainstay in Thurston County, Lattin’s County Cider Mill and Farm celebrates its 43rd year. Starting the last weekend in September and running every weekend in October is the Lattin’s Apple Festival. The festival is an opportunity for visitors to see the farm animals, participate in family friendly activities, and take a wagon ride out to the pumpkin patch to pick a pumpkin. At the Lattin’s shop, plenty of delicious produce and food is available. And no stop at the cider mill would be complete without enjoying some delicious, award-winning apple cider. Admission is free and parking is $5. Schilter Family Farm Fall Harvest Festival and Pumpkin Patch is 180 acre family friendly farm. The farm offers a pumpkin patch, a hay ride and a corn maze. This year’s theme is the Lou Gehrig Maze: a tribute and fundraiser for the ALS Association. Stop by the barn for a tasty treat or to meet some friendly farm animals. Get a full list of activities on the Schilter Family Farm website. Schilter Family Farm Fall Harvest Festival and Pumpkin Patch will be open daily from September 29 to October 31. While there are no wherewolves to be found at Wolf Haven, they have plenty of real children of the moon that need your help. Wolves & Wine offers guests and supporters an opportunity to share their passion for wolves at Wolf Haven’s annual fall fundraiser meeting. Supporting their mission: To conserve and protect wolves and their habitat. This evening will offer both silent and live auctions, beer and wine tastings, plentiful hors d’oeuvres and a chance to mingle with fellow wildlife supporters. Wolves and Wine will be held on September 29 from 5:00 p.m. to 8:00 pm. Tickets are $75 per person and can be purchased online or by calling 360-264-4695. 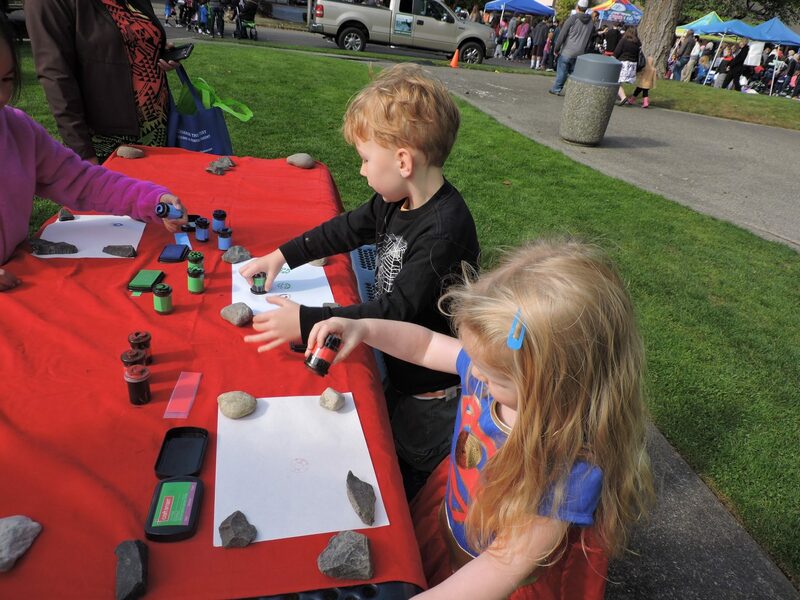 The 29th Annual Nisqually Watershed Festival celebrates nature featuring art, discovery, music and family fun. This year’s festival will include a number of displays from local organizations, walking tours, the Insect Extravaganza, a salmon barbecue and other great food and drink options. Bring your own t-shirt to the festival to make a fish print with a Nisqually salmon. To see a list of the other fun activities, check out the Nisqually Watershed Festival event page. The festival takes place on Saturday, September 29 from 10:00 a.m. to 4:00 p.m. Admission is free. Festival parking will be at River Ridge High School, 350 River Ridge Drive, Lacey, with a free shuttle to the Refuge running every 15 minutes. Handicap accessible parking will be available at the refuge. During the month of October, the small town of Bucoda becomes BOO-CODA. For the entire month, the town hosts a number of family-friendly fall activities. The Scary Nights Haunted House begins September 28 and runs every weekend in October and through Halloween Week. The History of Abraham Lincoln’s Funeral Procession and a Presentation on Religious and Cultural Funeral Practices will be held on October 6, starting at 10:00 a.m.. Casket Races and a Hearse Procession and Viewing are scheduled for October 13. 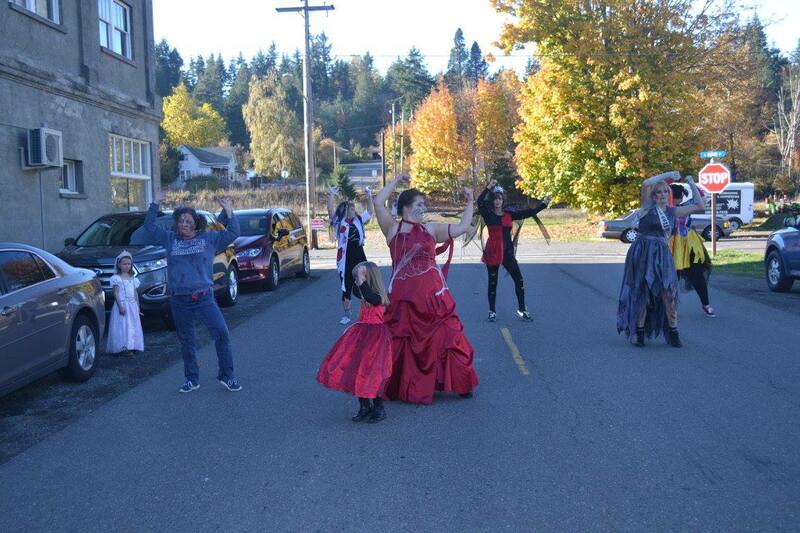 On October 27, join the town as they dance to Michael Jackson’s “Thriller” and attempt to set a world record—practice sessions are held throughout the months of September and October to get you prepared. To get a full schedule of events and locations, checkout the BOO-CODA website. The town of BOO-CODA can be reached by taking Old Highway 99 SE south from Tumwater for 12 miles into Tenino, following Old Highway 99 SE through town, and turning onto Highway 507 (Bucoda Highway), and driving south for 4.4 miles. The Fall Arts walk takes place at numerous locations around downtown Olympia. Join artists and members of the community as they come together to appreciate and celebrate local art of all types, from visual and performance arts and everything in between. Look for the schedule online about 2 weeks prior to the event. Fall arts walk takes place in downtown Olympia on Friday, October 5 from 5:00 p.m. to 10:00 p.m. and Saturday, October 6 from 12:00 p.m. to 5:00 p.m..
My Morbid Mind is a haunted house of epic proportions. Rated number 2 in Washington on HauntedHouseRatings.com, this frightening place is not for the faint of heart. The haunted house includes actors, props and a 3D experience like no other. Also offered are two lights-on, no-scare walk-throughs for kids and those looking for a less startling experience. Held in an old barn, the scares begin October 5. The no-scare walk-through will be held October 27 and 31 from 5:00 to 6:45 p.m. A full calendar of open dates and times can be found on My Morbid Mind’s Facebook page. Not for the faint of heart, My Morbid mind puts on a terrifying haunted house every weekend in October. This year’s theme is Once Upon a Time. Enjoy games, activities, arts & crafts, food, entertainment, and more! Come as you are or dress as your favorite fairy tale character. Keep your eyes peeled for a unicorn. Co-Sponsored by Lacey Parks & Recreation, the Lacey Timberland Library, and Lacey Loves to Read. Community Fun for the whole family, this free event is held rain or shine on Saturday, October 6 from 11:00 a.m. – 2:00 p.m. 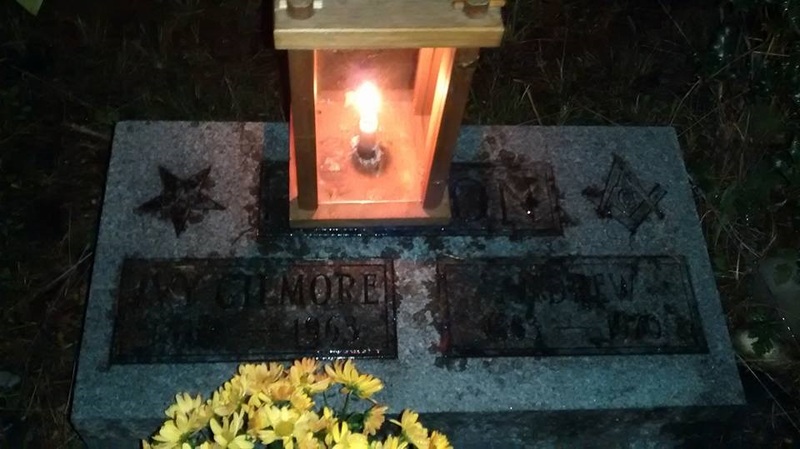 The Forest Grove Cemetery Tour will be held on October 13 between 4:00 p.m. and 8:00 p.m.. The tour is a living history tour, which features portrayals of notable pioneers and citizens. A guide will lead groups through the cemetery, stopping frequently for stories about local history. A number of tales will be told about wagon trains, Seatco prisoners, local Native American wars, early school teachers and more. During your tour you will learn memorial symbolism. There are also options for a self-guided tour. The tour begins or ends with cider and cookies. Come early to experience the daylight tour. Weather permitting the late tour will be guided by luminaries. Put on with the help of the South Thurston County Historical Society and Forest Grove Cemetery, proceeds go to Boy Scout Troop 9014. Tickets can be purchased at the gate or in advance at a discounted price. Check out the Forest Grove Cemetery Tour event page to purchase tickets. For its fifth year, Avanti High School will transform its halls into a haunted school. Admission is $7, and proceeds support a weekend field trip for English and Theater students to attend the Oregon Shakespeare Festival in Ashland. The Haunted School will run two weekends in October: the 18-20 and 25-27. It takes place in the Knox Building. Every year the residence halls of Saint Martin’s University will fill ghosts, goblins and ghouls (and probably some princesses and superheroes too!) for Halloween in the Halls. Children from our community are invited to trick-or-treat on guided tours around each of the university’s dormitories. The event is tentatively scheduled for Saturday, October 27 from 10:00 a.m. to 12:00 p.m. More information will be available for this event in the coming weeks, so check the University’s website for details. Join the Hands on Children’s Museum for the Boo Bash on October 27 and 28. Wear your costume and learn about many different things that fit the theme—By the Light of the Moon. Investigate glowing rocks, learn about nocturnal animals and try spelunking in a black light cave. The Hands on Children’s Museum is open from 10:00 a.m. to 6:00 p.m. The Capitol Theater will be screening The Rocky Horror Show beginning October 31 and running through November 4. The showings are presented at the Broadway Olympia Productions, the Capitol Mall, and the Olympia Film Society. In homage to the cult classic film, The Rocky Horror Picture Show, this live production is sure to delight viewers. Show times are listed online, and tickets can be purchased on the Olympia Film Society’s website.